Nifty opened flat and went up to touch 6265 within the first few minutes of trade, where the sellers got active to move the index below the previous day’s close. A huge pullback towards the dying minutes saw Nifty to the high of the day but was adjusted lower at 6259.80, small gain of 18.80 points. On a week on week basis the index gained 83.80 points or about 1.36%. The broader market was also positive, with 728 advances to 626 declines. Best resistance now at 6400. 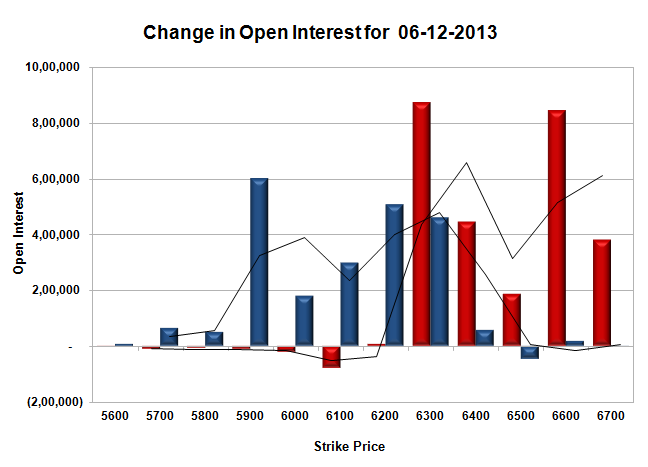 Call option 6300-6700 added 27.25 lacs huge amount of OI with short covering seen at 6100 and lower strike prices. Put option 6300-5700 added 21.54 lacs huge amount of OI with small short covering seen at 6500 strike prices. 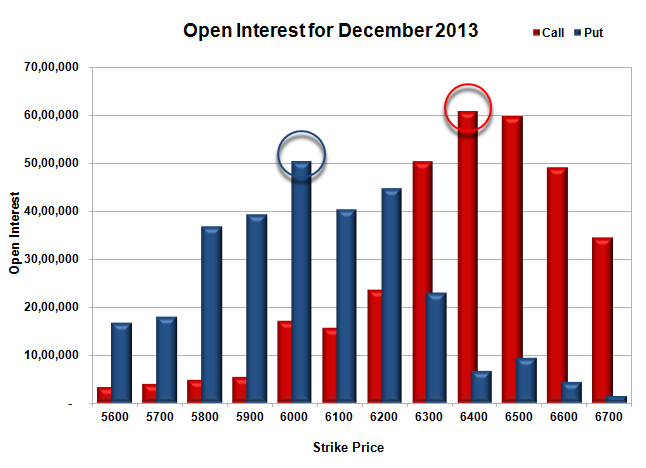 Nifty Open Interest is at 1,95,18,700 up by 4,78,950, with increase in price, mostly huge long build-up. Bank Nifty Open Interest is at 15,15,050 down by 32,425, with increase in price, mostly huge short covering. FII’s sold 0.30 lacs Futures, mostly short build-up, as their net OI increased by 1189 contracts (includes 42921 longs and 43516 shorts for the day) and the average price per contract comes to around 6273.50. FII’s future open contract as on date is 470675. PCR Open Interest (Volume) has moved below 1 and now at 0.974. Initial support at 6200, with huge OI of 44.69 lacs and below that at 6100 with OI of 40.34 lacs. Initial resistance getting stronger at 6300, with OI of 50.42 lacs and above that at 6400, with highest OI of 60.92 lacs. 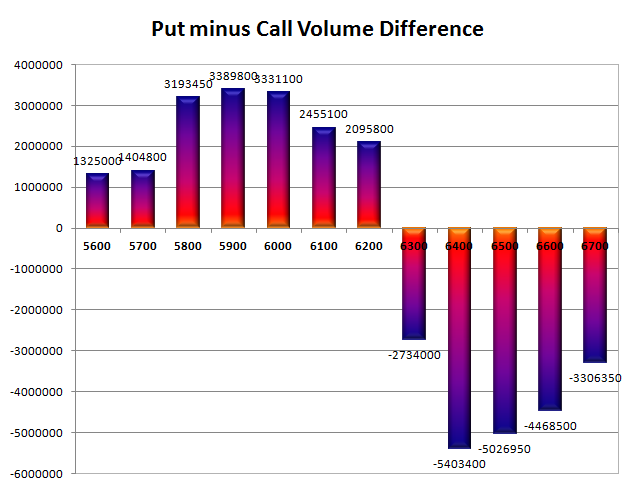 Day Range as per Option Table is 6202 - 6311 and as per VIX is 6187 - 6333 with 6255 as the Pivot.